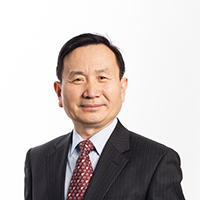 Professor Qingwei Ma obtained BSc and MSc degrees in Engineering from Harbin Engineering University, PR China, in 1982 and 1984, respectively. He received his PhD degree from University College London, UK, in 1998. After being a lecturer for several years in Ocean University of Qingdao (now Ocean University of China), he joined University College London as a Visiting Research Fellow in 1992 and then became a Research Fellow in 1994. In 2001, he was appointed as a Lecturer at the Robert Gordon University. Soon after, he joined the City, University of London in 2002 as a Lecturer in Fluids Engineering, was promoted to Senior Lecturer in Fluids Engineering in 2004 and in 2007 promoted to Reader. He became a full Professor of Hydrodynamics in 2010. He is now also the Director of the Research Centre for Fluid-Structure Interaction, City, University of London. Professor Ma has been engaged in research on interaction between fluid/water-waves and structures since his study for MSc. •	New advanced numerical methods, such as QALE-FEM (Quasi Arbitrary Lagrangian-Eulerian Finite Element Method) for modelling fully nonlinear interaction between waves and floating structures, MLPG_R (Meshless Local Petrov-Galerkin method with Rankine source solution) method for modelling interaction between breaking waves and structures, and ESBI (Enhanced Spectral Boundary Integral) method for simulating fully nonlinear waves in random seas on a large temporal and spatial scale. Recently, his attention has been focused much on multi-scale multi-model simulations of fluid-structure interactions in marine engineering. In this area, he has led the development of several hybrid numerical methods, including the hybrid method combining QALE-FEM and MLPG_R method, the hybrid method combining SPH (Smoothed Particle Hydrodynamics) and MLPG_R method and the hybrid method combining ESBI and Enhanced Nonlinear Schrödinger Equation. Ma, Q. (2009). Advances in Numerical Simulation of Nonlinear Water Waves. World Scientific Pub Co Inc. ISBN 978-981-283-649-6. Ma, Q. (2009). Advances in Numerical Simulation of Nonlinear Water Waves. In Ma, Q. (Ed. ), Advances in Numerical Simulation of Nonlinear Water Waves World Scientific Pub Co Inc. ISBN 978-981-283-649-6. Xie, Z., Yan, S., Ma, Q. and Stoesser, T. (2018). Numerical modelling of focusing wave impact on a fixed offshore structure. Li, Q., Yan, S., Wang, J., Ma, Q.W., Xie, Z. and Sriram, V. (2018). Numerical simulation of focusing wave interaction with FPSO-like structure using FNPT-NS Solver. Wang, J., Ma, Q.W. and Yan, S. (2018). Examination on errors of two simplified models for simulating weakly spreading seas. Li, Q., Ma, Q.W. and Yan, S. (2017). Vortex shedding behavior of a horizontal circular cylinder near the free surface with different submerged depths. Yan, S. and Ma, Q. (2017). A hybrid approach coupling mlpg-r with QALE-FEM for modelling fully nonlinear water waves. Wang, J., Ma, Q.W. and Yan, S. (2017). On differences of rogue waves modeled by three approaches in numerical wave tank. Fourtakas, G., Stansby, P.K., Rogers, B.D., Lind, S.J., Yan, S. and Ma, Q.W. (2017). On the coupling of Incompressible SPH with a Finite Element potential flow solver for nonlinear free surface flows. Yang, H., Yan, S. and Ma, Q. (2016). Effects of tank motion on oil spilling from damaged oil tanks. Yang, L., Yang, H., Yan, S., Ma, Q. and Bihnam, M. (2016). Comparative study on water impact problem. Wang, J., Ma, Q.W. and Yan, S. (2016). Numerical investigation on spectrum evolution of narrow-banded random waves in shallow water based on KdV and fully nonlinear model. Yan, S., Ma, Q.W., Wang, J. and Zhou, J. (2016). Self-adaptive wave absorbing technique for nonlinear shallow water waves. Zheng, X., Xu, S., Duan, W. and Ma, Q. (2016). Pattern wave simulation of high speed ships by ISPH based on 2D+t theory. Ma, Q.W., Yan, S., Greaves, D., Mai, T. and Raby, A. (2015). Numerical and experimental studies of Interaction between FPSO and focusing waves. Yan, S., Ma, Q.W., Sriram, V., Qian, L., Ferrer, P.J.M. and Schlurmann, T. (2015). Numerical and experimental studies of moving cylinder in uni-directional focusing waves. Xu, S.J., Han, D.F. and Ma, Q.W. (2015). Experimental study on the cross-coupling hydrodynamic coefficients of ROV. Wang, Q., Yan, F., Ma, Q. and Yu, L. (2015). Parameter optimization of power take-off system in a floating wind-wave energy hybrid system. Hao, H., Guo, Z., Ma, Q. and Dai, S. (2015). A preliminary study on the hydrodynamic propulsive force of a pair of inversely oscillating hydrofoils. Guo, Z., Ma, Q. and Yang, D. (2015). The influence of sidehull hydrodynamics on the T-craft seakeeping motion. Guo, Z., Ma, Q. and Sun, H. (2015). A Seakeeping Analysis Method for T-Craft. Wang, J.H. and Ma, Q.W. (2015). Numerical Investigation on Limitation of Boussinesq Equation for Generating Focusing Waves. Hu, Z., Zheng, X., Ma, Q.-.W. and Duan, W.-.Y. (2015). Fluid Flow in a Cavity Driven by an Oscillating Lid by an Improved Incompressible SPH. Zheng, X., Hu, Z., Ma, Q.-.W. and Duan, W.-.Y. (2015). Incompressible SPH Based on Rankine Source Solution for Water Wave Impact Simulation. Ding, S., Yan, S., Han, D. and Ma, Q. (2015). Overview on Hybrid Wind-Wave Energy Systems. Zhou, J.T., Yan, S., Ma, Q.W. and Wong, Y. (2014). Comparative studies on numerical simulation of tsunami wave loads on 3D onshore structures. Yan, S. and Ma, Q.W. (2014). Sensitivity investigation on wave dynamics with thin-walled moonpool. Guo, Z., Ma, Q. and Lin, Z. (2014). A comparison of seakeeping predictions for wave-piercing catamarans using STF and URANS methods. Yan, S., Zhou, J.T., Ma, Q.W., Wang, J., Zheng, Y. and Wazni, B. (2013). Fully nonlinear simulation of tsunami wave impacts on onshore structures. Ma, Q.W., Yan, S. and Zhou, J.T. (2013). Fully nonlinear simulation of resonant wave motion in gap between two structures. Ma, Q.W. and Sriram, V. (2013). Numerical Investigations on Effects of Seabed Geometry on Wave Overtopping of Coastal Defense Structures. Ma, Q. (2012). Numerical modelling of Wave-Plate Interaction using Mesh free method. Proceedings of 8th International Conference on Coastal and Port Engineering in Developing Countries 20-24 February, IIT Madras, Chennai, INDIA. Ma, Q. and Jagdale, S. (2012). Effect of Non-linear Wave Forces on Dynamic Response of Floating Offshore Wind Turbine. Proceedings of ISOPE 2012. Ma, Q., Sriram, V. and Schlurmann, T. (2012). Numerical simulation of breaking waves using hybrid coupling of FNPT and NS solvers. Proceedings of ISOPE 2012. Ma, Q., Sun, M., Sun, L. and Li, B. (2012). Preliminary analysis of impact pressure on swash bulkheads on the top of a liquid tank. Proceedings of ISOPE 2012. Ma, Q., Yan, S., Lu, J. and Chen, S. (2010). Fully Nonlinear Analysis on Responses of a Moored FPSO to Waves in Shallow Water. Conference/Proceeding of ISOPE 2009. Ma, Q. and Sriram, V. (2010). Simulation of 2D breaking waves by using improved MLPG_R method. Conference/Proceeding of ISOPE 2009. Ma, Q., Chen, S. and Yan, S. (2010). Numerical Investigation on Hydrodynamic Characteristics of a Planing Hull. Conference/Proceeding of ISOPE 2009. Ma, Q. and Jagdale, S. (2010). Practical Simulation on Motions of a TLP-Type Support Structure for Offshore Wind Turbines. Conference/Proceeding of ISOPE 2009. Ma, Q., Xu, G. and Sun, L. (2010). Numerical Investigations on Truss SPAR Motion in Waves. Conference/Proceeding of ISOPE 2009. Ma, Q., Zhang, L., Zhao, J. and Zhang, X.W. (2010). Integrated Fatigue Load Analysis of Wave and Wind for Offshore Wind Turbine Foundation. Conference/Proceeding of ISOPE 2009. Ma, Q., Zheng, X. and Duan, W.Y. (2010). Numerical Simulation of 2D water waves by using K2_SPH. Conference/Proceeding of ISOPE 2009. Yan, S., Ma, Q.W., Lu, J. and Chen, S. (2010). Fully nonlinear analysis on responses of a moored FPSO to waves in shallow water. Ma, Q., Duan, W.Y., Zhou, J., Zheng, X. and Yan, S. (2009). Numerical Study on Impact Pressure due to Violent Sloshing Waves. Conference/Proceeding of ISOPE 2009. Zhou, J.T., Ma, Q.W., Zhang, L. and Yan, S. (2009). Numerical investigation of violent wave impact on offshore wind energy structures using MLPG_R method. Yan, S. and Ma, Q.W. (2009). Numerical simulation of wind effects on breaking solitary waves. Yan, S., Ma, Q.W. and Cheng, X. (2009). Fully nonlinear hydrodynamic interaction between two 3D floating structures in close proximity. Zhou, J.T., Ma, Q.W., Zhang, L. and Yan, S. (2009). Numerical investigation of violent wave impact on offshore wind energy structures using MLPG-R method. Ma, Q.W., Duan, W.Y., Zhou, J., Zheng, X. and Yan, S. (2009). Numerical study on impact pressure due to violent sloshing waves. Ma, Q., Yan, S. and Cheng, X. (2009). Fully Nonlinear Hydrodynamic Interaction between Two 3D Floating Structures in Close Proximity. Conference/Proceeding of ISOPE 2009. Ma, Q. and Yan, S. (2008). Preliminary Simulation of Wind Effects on 3D Freak Waves. ROGUE WAVES 2008. Zhou, J.T., Ma, Q.W. and Yan, S. (2008). Numerical implementation of solid boundary conditions in meshless methods. Ma, Q.W. and Yan, S. (2008). Features of QALE-FEM and its applications to nonlinear wave hydrodynamics. Yan, S. and Ma, Q.W. (2008). Numerical investigations on responses of two moored 3D floating structures to steep waves. Yan, S. and Ma, Q.W. (2008). Nonlinear simulation of 3D freak waves using a fast numerical method. Yan, S. and Ma, Q.W. (2007). Effects of an arbitrary sea bed on responses of moored floating structures to steep waves. Ma, Q. and Yan, S. Investigations of Freak Waves on Uniform Current. International Workshop on Water Waves and Floating Bodies. Ma, Q., Sriram, V., Yan, S. and Zhou, J.T. Applications of MLPG_R and SALE/QALE-FEM for wave -structure interactions. Proceedings of ninth International Conference on Hydro-Science and Engineering. Yan, S., Ma, Q.W. and Cheng, X. Fully nonlinear simulation of two floating structures in close proximity subjected to oblique waves. Ma, Q. and Ya, S. Numerical simulation of wind effects on breaking solitary waves. Conference/Proceeding of ISOPE 2009. Guo, Z., Qin, H. and Ma, Q.W. (2018). A study on hydrodynamics of the air cushion of a high-speed PACSCAT. European Journal of Mechanics, B/Fluids, 72, pp. 353–363. doi:10.1016/j.euromechflu.2018.07.004 . Li, Y., Gong, J., Ma, Q. and Yan, S. (2018). Effects of the terms associated with ϕzz in free surface condition on the attitudes and resistance of different ships. Engineering Analysis with Boundary Elements, 95, pp. 266–285. doi:10.1016/j.enganabound.2018.08.006 . Wang, J., Ma, Q. and Yan, S. (2018). A fully nonlinear numerical method for modeling wave–current interactions. Journal of Computational Physics, 369, pp. 173–190. doi:10.1016/j.jcp.2018.04.057 . Wang, J., Ma, Q.W., Yan, S. and Qin, H. (2018). Numerical study on the quantitative error of the Korteweg–de Vries equation for modelling random waves on large scale in shallow water. European Journal of Mechanics, B/Fluids, 71, pp. 92–102. doi:10.1016/j.euromechflu.2018.04.004 . Guo, Z., Ma, Q.W. and Qin, H. (2018). A novel 2.5D method for solving the mixed boundary value problem of a surface effect ship. Applied Ocean Research, 78, pp. 25–32. doi:10.1016/j.apor.2018.05.016 . Fourtakas, G., Stansby, P.K., Rogers, B.D., Lind, S.J., Yan, S. and Ma, Q. (2018). On the coupling of incompressible SPH with a finite element potential flow solver for nonlinear free-surface flows. International Journal of Offshore and Polar Engineering, 28(3), pp. 248–254. doi:10.17736/ijope.2018.ak28 . Zheng, X., Lv, X., Ma, Q., Duan, W., Khayyer, A. and Shao, S. (2018). An improved solid boundary treatment for wave–float interactions using ISPH method. International Journal of Naval Architecture and Ocean Engineering, 10(3), pp. 329–347. doi:10.1016/j.ijnaoe.2017.08.001 . Guo, Z., Ma, Q., Yu, S. and Qin, H. (2018). A body-nonlinear green's function method with viscous dissipation effects for large-amplitude roll of floating bodies. Applied Sciences (Switzerland), 8(4). doi:10.3390/app8040517 . Yu, Z., Zheng, X. and Ma, Q. (2018). Study on Actuator Line Modeling of Two NREL 5-MW Wind Turbine Wakes. Applied Sciences, 8(3), pp. 434–434. doi:10.3390/app8030434 . Guo, Z., Ma, Q. and Qin, H. (2018). Multi-Domain 2.5D Method for Multiple Water Level Hydrodynamics. Water, 10(2), pp. 232–232. doi:10.3390/w10020232 . Zheng, X., Ma, Q. and Shao, S. (2018). Study on SPH Viscosity Term Formulations. Applied Sciences, 8(2), pp. 249–249. doi:10.3390/app8020249 . Zhang, N., Zheng, X., Ma, Q., Duan, W., Khayyer, A., Lv, X. … Shao, S. (2018). A hybrid stabilization technique for simulating water wave – Structure interaction by incompressible Smoothed Particle Hydrodynamics (ISPH) method. Journal of Hydro-environment Research, 18, pp. 77–94. doi:10.1016/j.jher.2017.11.003 . Wang, J., Ma, Q.W., Yan, S. and Chabchoub, A. (2018). Breather Rogue Waves in Random Seas. Physical Review Applied, 9(1). doi:10.1103/PhysRevApplied.9.014016 . Guo, Z., Ma, Q.W. and Qin, H. (2018). A time-domain Green's function for interaction betweenwaterwaves and floating bodies with viscous dissipation effects. Water (Switzerland), 10(1). doi:10.3390/w10010072 . Yu, Y., Guo, Z. and Ma, Q. (2018). Transmission of water waves under multiple vertical thin plates. Water (Switzerland), 10(4). doi:10.3390/w10040517 . Wang, J., Yan, S. and Ma, Q. (2018). Deterministic numerical modelling of three-dimensional rogue waves on large scale with presence of wind. Procedia IUTAM, 26, pp. 214–226. doi:10.1016/j.piutam.2018.03.021 . Zhou, Y. and Ma, Q. (2018). A new interface identification technique based on absolute density gradient for violent flows. CMES - Computer Modeling in Engineering and Sciences, 115(2), pp. 131–147. doi:10.3970/cmes.2018.00249 . Li, Q., Wang, J., Yan, S., Gong, J. and Ma, Q. (2018). A zonal hybrid approach coupling FNPT with OpenFOAM for modelling wave-structure interactions with action of current. Ocean Systems Engineering, 8(4), pp. 381–407. doi:10.12989/ose.2018.8.4.381 . Wang, J., Ma, Q. and Yan, S. (2017). On quantitative errors of two simplified unsteady models for simulating unidirectional nonlinear random waves on large scale in deep sea. Physics of Fluids, 29(6). doi:10.1063/1.4989417 . Zheng, X., Ma, Q., Shao, S. and Khayyer, A. (2017). Modelling of Violent Water Wave Propagation and Impact by Incompressible SPH with First-Order Consistent Kernel Interpolation Scheme. Water, 9(6). doi:10.3390/w9060400 . Ma, Q.W. (2017). Experimental study on inertial hydrodynamic behaviors of a complex remotely operated vehicle. European Journal of Mechanics, B/Fluids, 65, pp. 1–9. doi:10.1016/j.euromechflu.2017.01.013 . Stansby, P.K. and Ma, Q. (2017). Foreword to special issue on particle methods for flow modeling in ocean engineering. Journal of Ocean Engineering and Marine Energy, 2(3), pp. 249–250. doi:10.1007/s40722-016-0065-3 . Zhou, Y., Ma, Q.W. and Yan, S. (2017). MLPG_R method for modelling 2D flows of two immiscible fluids. International Journal for Numerical Methods in Fluids, 84(7), pp. 385–408. doi:10.1002/fld.4353 . Yang, H., Yan, S., Ma, Q., Lu, J. and Zhou, Y. (2017). Turbulence modelling and role of compressibility on oil spilling from a damaged double hull tank. International Journal for Numerical Methods in Fluids, 83(11), pp. 841–865. doi:10.1002/fld.4294 . Yang, L., Yang, H., Yan, S. and Ma, Q. (2017). Numerical investigation of water-entry problems using IBM method. International Journal of Offshore and Polar Engineering, 27(2), pp. 152–159. doi:10.17736/ijope.2017.jc687 . Zheng, X., Ma, Q.-.W. and Duan, W.-.Y. (2016). Comparison of different iterative schemes for ISPH based on Rankine source solution. International Journal of Naval Architecture and Ocean Engineering, 9(4), pp. 390–403. doi:10.1016/j.ijnaoe.2016.10.007 . Ma, Q.W., Zhou, Y. and Yan, S. (2016). A review on approaches to solving Poisson’s equation in projection-based meshless methods for modelling strongly nonlinear water waves. Journal of Ocean Engineering and Marine Energy, 2(3), pp. 279–299. doi:10.1007/s40722-016-0063-5 . Wang, J., Ma, Q.W. and Yan, S. (2016). A hybrid model for simulating rogue waves in random seas on a large temporal and spatial scale. Journal of Computational Physics, 313, pp. 279–309. doi:10.1016/j.jcp.2016.02.044 . Guo, Z., Ma, Q. and Hu, X. (2016). Seakeeping Analysis of a Wave-Piercing Catamaran Using URANS-Based Method. INTERNATIONAL JOURNAL OF OFFSHORE AND POLAR ENGINEERING, 26(1), pp. 48–56. Guo, Z.Q., Ma, Q.W. and Yang, J.L. (2015). A seakeeping analysis method for a high-speed partial air cushion supported catamaran (PACSCAT). Ocean Engineering, 110, pp. 357–376. doi:10.1016/j.oceaneng.2015.10.031 . Xu, S.J., Han, D.F. and Ma, Q.W. (2015). Hydrodynamic forces and moments acting on a remotely operate vehicle with an asymmetric shape moving in a vertical plane. European Journal of Mechanics, B/Fluids, 54, pp. 1–9. doi:10.1016/j.euromechflu.2015.05.007 . Wang, J. and Ma, Q.W. (2015). Numerical techniques on improving computational efficiency of spectral boundary integral method. International Journal for Numerical Methods in Engineering, 102(10), pp. 1638–1669. doi:10.1002/nme.4857 . Shang Guan, Z.N., Han, D.F. and Ma, Q.W. (2015). Application of SPH-ALE method in numerical wave making problem. Chuan Bo Li Xue/Journal of Ship Mechanics, 19(1-2), pp. 43–51. doi:10.3969/j.issn.1007-7294.2015.h1.005 . Xu, G., Yan, S. and Ma, Q.W. (2015). Modified SFDI for fully nonlinear wave simulation. CMES - Computer Modeling in Engineering and Sciences, 106(1), pp. 1–35. Wang, J., Yan, S. and Ma, Q.W. (2015). An improved technique to generate rogue waves in random sea. CMES - Computer Modeling in Engineering and Sciences, 106(4), pp. 263–289. Li, Q., Ma, Q.W. and Yan, S. (2015). Investigations on the Feature of Turbulent Viscosity Associated with Vortex Shedding. Procedia Engineering, 126, pp. 73–77. doi:10.1016/j.proeng.2015.11.181 . Zheng, X., Ma, Q.-.W. and Duan, W.-.Y. (2014). Comparative study of different SPH schemes on simulating violent water wave impact flows. China Ocean Engineering, 28(6), pp. 791–806. doi:10.1007/s13344-014-0061-0 . Ma, Q., Zheng, X. and Duan, W.Y. (2014). Incompressible SPH method based on Rankine source solution for violent water wave simulation. Journal of Computational Physics, 276, pp. 291–314. doi:10.1016/j.jcp.2014.07.036 . Shangguan, Z.N., Ma, Q.W. and Han, D.F. (2014). Comparisons of two repulsive models for boundary treatment in SPH. Chuan Bo Li Xue/Journal of Ship Mechanics, 18(1-2), pp. 37–44. doi:10.3969/j.issn.1007-7294.2014.h1.005 . Sriram, V., Ma, Q.W. and Schlurmann, T. (2014). A hybrid method for modelling two dimensional non-breaking and breaking waves. Journal of Computational Physics, 272, pp. 429–454. Sriram, V. and Ma, Q.W. (2012). Improved MLPG_R method for simulating 2D interaction between violent waves and elastic structures. Journal of Computational Physics, 231(22), pp. 7650–7670. doi:10.1016/j.jcp.2012.07.003 . Zheng, X., Ma, Q. and Duan, W. (2012). K2_SPH method and simulation of 2D breaking waves. Jisuan Wuli/Chinese Journal of Computational Physics, 29(3), pp. 317–325. Yan, S. and Ma, Q. (2012). Numerical study on significance of wind action on 2-D freak waves with different parameters. Journal of Marine Science and Technology, 20(1), pp. 9–17. Yan, S., Ma, Q. and Cheng, X. (2012). Numerical investigations on transient behaviours of two 3-D freely floating structures by using a fully nonlinear method. Journal of Marine Science and Application, 11(1), pp. 1–9. doi:10.1007/s11804-012-1099-0 . Xing, Z., Wen-yang, D. and Ma, Q. (2012). A new scheme for identifying free surface particles in improved SPH. SCIENCE CHINA G: Physics, Mechanics & Astronomy, 55, pp. 1454–1463. Adcock, T.A.A., Taylor, P.H., Yan, S., Ma, Q.W. and Janssen, P.A.E.M. (2011). Did the Draupner wave occur in a crossing sea? Proceedings of the Royal Society A: Mathematical, Physical and Engineering Sciences, 467(2134), pp. 3004–3021. doi:10.1098/rspa.2011.0049 . Yan, S., Ma, Q.W. and Cheng, X. (2011). Fully nonlinear hydrodynamic interaction between two 3d floating structures in close proximity. International Journal of Offshore and Polar Engineering, 21(3), pp. 178–185. Chen, S.L., Yang, S.L. and Ma, Q. (2011). AN EXPERIMENTAL STUDY ON HYDRODYNAMIC CHARACTERISTICS OF GLIDING-HYDROFOIL CRAFT. JOURNAL OF MARINE SCIENCE AND TECHNOLOGY-TAIWAN, 19(1), pp. 89–96. Yan, S. and Ma, Q.W. (2011). Improved model for air pressure due to wind on 2D freak waves in finite depth. European Journal of Mechanics, B/Fluids, 30(1), pp. 1–11. doi:10.1016/j.euromechflu.2010.09.005 . Shuo, H., Wen-yang, D. and Qing-wei, M. (2011). An Approximation to Energy Dissipation in Time Domain Simulation of Sloshing Waves Based on Linear Potential Theory. CHINA OCEAN ENGINEERING, 25(2), pp. 189–200. doi:10.1007/s13344-011-0017-6 . Zhang, L., Zhao, J., Zhang, X.W. and Ma, Q.W. (2010). Integrated fatigue load analysis of wave and wind for offshore wind turbine foundation. Proceedings of the International Offshore and Polar Engineering Conference, 1, pp. 680–686. Yan, S. and Ma, Q.W. (2010). QALE-FEM for modelling 3D overturning waves. International Journal for Numerical Methods in Fluids, 63(6), pp. 743–768. doi:10.1002/fld.2100 . Zhou, J.T. and Ma, Q.W. (2010). MLPG method based on rankine source solution for modelling 3D breaking waves. CMES - Computer Modeling in Engineering and Sciences, 56(2), pp. 179–210. Yan, S. and Ma, Q.W. (2010). Numerical simulation of interaction between wind and 2D freak waves. European Journal of Mechanics, B/Fluids, 29(1), pp. 18–31. doi:10.1016/j.euromechflu.2009.08.001 . Ma, Q.W. and Zhou, J.T. (2009). MLPG-R method for numerical simulation of 2D breaking waves. CMES - Computer Modeling in Engineering and Sciences, 43(3), pp. 277–303. Yan, S. and Ma, Q.W. (2009). Nonlinear simulation of 3-D freak waves using a fast numerical method. International Journal of Offshore and Polar Engineering, 19(3), pp. 168–175. Ma, Q.W. and Yan, S. (2009). QALE-FEM for numerical modelling of non-linear interaction between 3D moored floating bodies and steep waves. International Journal for Numerical Methods in Engineering, 78(6), pp. 713–756. doi:10.1002/nme.2505 . Ma, Q.W. (2008). A new meshless interpolation scheme for MLPG_R method. CMES-COMPUTER MODELING IN ENGINEERING & SCIENCES, 23(2), pp. 75–89. Ma, Q.W. (2007). Numerical generation of freak waves using MLPG_R and QALE-FEM methods. CMES-COMPUTER MODELING IN ENGINEERING & SCIENCES, 18(3), pp. 223–234. Yan, S. and Ma, Q.W. (2007). Numerical simulation of fully nonlinear interaction between steep waves and 2D floating bodies using the QALE-FEM method. Journal of Computational Physics, 221(2), pp. 666–692. doi:10.1016/j.jcp.2006.06.046 . Ma, Q.W. and Yan, S. (2006). Quasi ALE finite element method for nonlinear water waves. Journal of Computational Physics, 212(1), pp. 52–72. doi:10.1016/j.jcp.2005.06.014 . Ma, Q.W. (2005). MLPG method based on Rankine source solution for simulating nonlinear water waves. CMES-COMPUTER MODELING IN ENGINEERING & SCIENCES, 9(2), pp. 193–209. Ma, Q. (2005). Meshless local Petrov-Galerkin method for two-dimensional nonlinear water wave problems. JOURNAL OF COMPUTATIONAL PHYSICS, 205(2), pp. 611–625. doi:10.1016/j.jcp.2004.11.010 . Ma, Q.W. and Patel, M.H. (2002). Coupled nonlinear motion of floating structures with water columns in open-bottom tanks. Proceedings of the International Conference on Offshore Mechanics and Arctic Engineering - OMAE, 1, pp. 783–791. doi:10.1115/OMAE2002-28548 . Hu, P., Wu, G.X. and Ma, Q.W. (2002). Numerical simulation of nonlinear wave radiation by a moving vertical cylinder. Ocean Engineering, 29(14), pp. 1733–1750. doi:10.1016/S0029-8018(02)00002-1 . Ma, Q.W., Wu, G.X. and Eatock Taylor, R. (2001). Finite element simulation of fully non-linear interaction between vertical cylinders and steep waves. Part 1: Methodology and numerical procedure. International Journal for Numerical Methods in Fluids, 36(3), pp. 265–285. doi:10.1002/fld.131 . Ma, Q.W., Wu, G.X. and Eatock Taylor, R. (2001). Finite element simulations of fully non-linear interaction between vertical cylinders and steep waves. Part 2: Numerical results and validation. International Journal for Numerical Methods in Fluids, 36(3), pp. 287–308. doi:10.1002/fld.133 . Ma, Q.W. and Patel, M.H. (2001). On the non-linear forces acting on a floating spar platform in ocean waves. Applied Ocean Research, 23(1), pp. 29–40. doi:10.1016/S0141-1187(00)00025-0 . Wu, G.X., Ma, Q.W. and Eatock Taylor, R. (1998). Numerical simulation of sloshing waves in a 3D tank based on a finite element method. Applied Ocean Research, 20(6), pp. 337–355. doi:10.1016/S0141-1187(98)00030-3 . Ma, Q., Ma, Q.W. and Wu, G.X., (1995). SECOND ORDER TRANSIENT WAVES AROUND A VERTICAL CYLINDER IN A TANK. Journal of Hydrodynamics, 7(4), p. 72. Wu, G.X., Witz, J.A., Ma, Q. and Brown, D.T. (1994). Analysis of wave induced drift forces acting on a submerged sphere in finite water depth. Applied Ocean Research, 16(6), pp. 353–361. doi:10.1016/0141-1187(94)00020-4 . Chen, Y.Y. and Ma, Q.W. (1991). Investigations on properties of Magnu’s effect turbines. Journal of Ocean University of Qingdao, Vol. 21(2), pp. 129–135. Ocean Systems Engineering, Editors-in-Chief, 2017 – present. Computer Modeling in Engineering & the Sciences, Member of Editorial Board. Journal of Ocean Engineering and Marine Energy, Associate Editor. Offshore engineers to benefit from new wave modelling tool. Designers of offshore structures could soon benefit from a new software tool under development at City University London. The research team, which has already been awarded more than £100k in funding, claims the tool can model the behaviour of extreme ocean waves more accurately, efficiently and consistently than current technology. Wave-modelling tool could improve offshore structures. The design and maintenance of offshore structures such as oil rigs and wind turbines could benefit from a new wave-modelling tool currently in development. THE. Qingwei Ma, reader in hydraulic engineering at City University London, has been awarded a Chang Jiang Scholarship by the Ministry of Education of China. Dr Ma came to the UK in 1992 and started a PhD at University College London in 1994. He joined City in 2002, and was promoted to a senior lecturer position in 2004 and then appointed reader in 2007. The Chang Jiang Scholarship was established in 1998 by China's Ministry of Education and the Li Ka Shing Foundation - a Chinese charitable organisation that supports education and healthcare activities through grants and sponsorships, with the aim of developing Chinese research institutions through the engagement of Chang Jiang scholars. Dr Ma said he appreciated the prospects that the scholarship, to be based at Harbin Engineering University, would give him. "Only a small number of Chinese universities have a chance to host this professorship - around 100, " he said. "I will use this opportunity to extend my collaboration with Chinese researchers in my area."